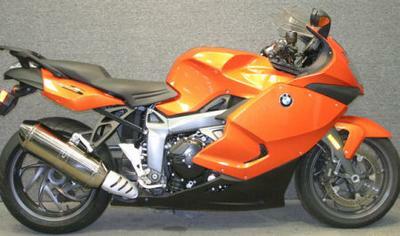 The 2009 BMW K1300S for Sale has the premium orange paint color option and 15,278 miles on it. With 1,293cc of power, this BMW motorcycle has a reputation as the sportiest bike of the BMW K Series featuring a successful combination of riding dynamics as well as a high standard of comfort, nimble handling and complete riding stability. At the same time, it offers an impressive amount of protection for the rider against wind and weather as well as perfected ergonomics for long trips. The superior performance of the K1300S matched with exceptional everyday practicality makes this bike a joy to own and ride. If you have any questions regarding the 2009 K1300S for sale or if you would like to make an appointment to see it in person, make payment and pick up you can do so using the space below that has been provided by Strike Lightning's GoGoCycles Used Motorcycles for Sale (and PLEASE do not neglect to include your contact information in your email or to provide a phone number or email address!) so that I can respond with answers to your questions or set up an appointment as quickly as possible. In my opinion there is not a better deal on a used Suzuki for sale BMW as this K1300S in Dartmouth, Maine MA, on Craigslist or in an Ebay auction so hurry and make an offer before this deal gets away from you! Strike Lightning would also encourage bikers to submit a review of the 2009 BMW K1300S for Sale to make the biker community aware of any problems that are commonly associated with the the 2009 model or to highlight its positive features and help potential buyers make informed decisions on this motorcycle and any BMW motorcycle parts and accessories that may have been added. Our asking price is a very cheap $12,495.00 with both financing and layaway service available so email before it's gone and don't forget to mention that you found this ad on Strike Lightning's Motorcycle Classifieds www.gogocycles.com using the comments forms located on this page. There is also a written warranty included with the sale and worldwide shipping available.